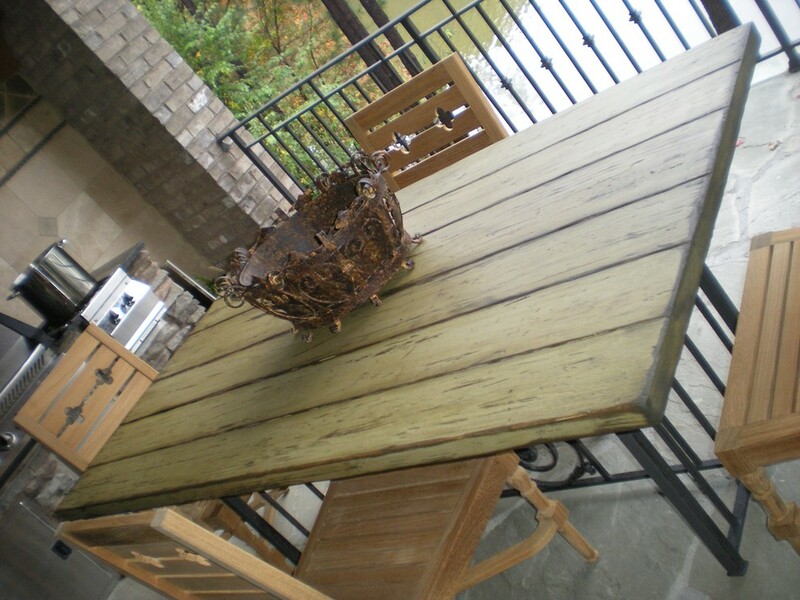 A stianed and glazed finish on heart pine. 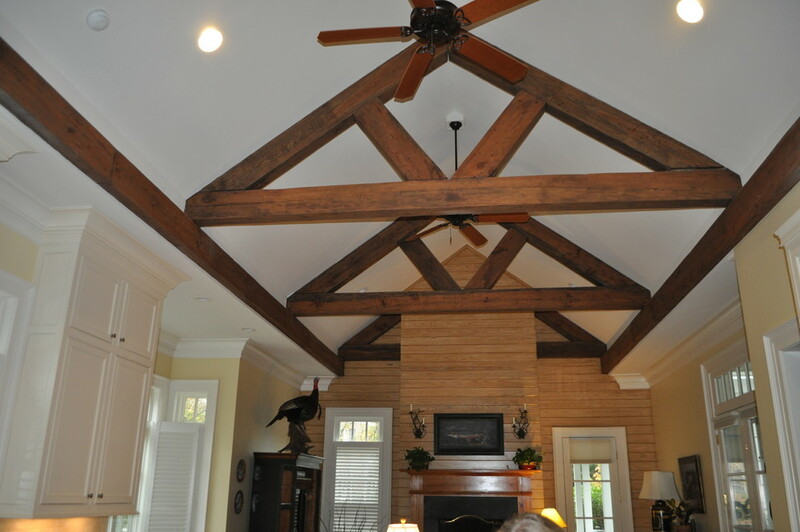 We refinished the damaged areas in the old beams and made the fresh sawn side look exacltly like the other three sides. 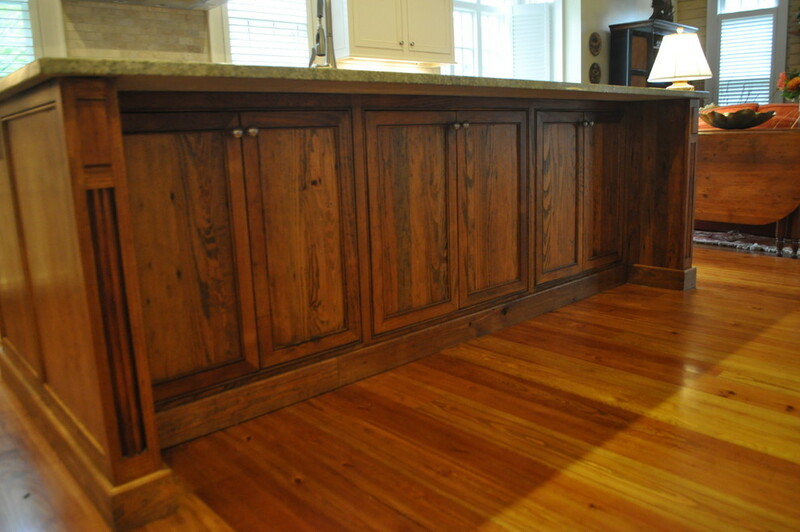 A stained and glazed heart pine island. 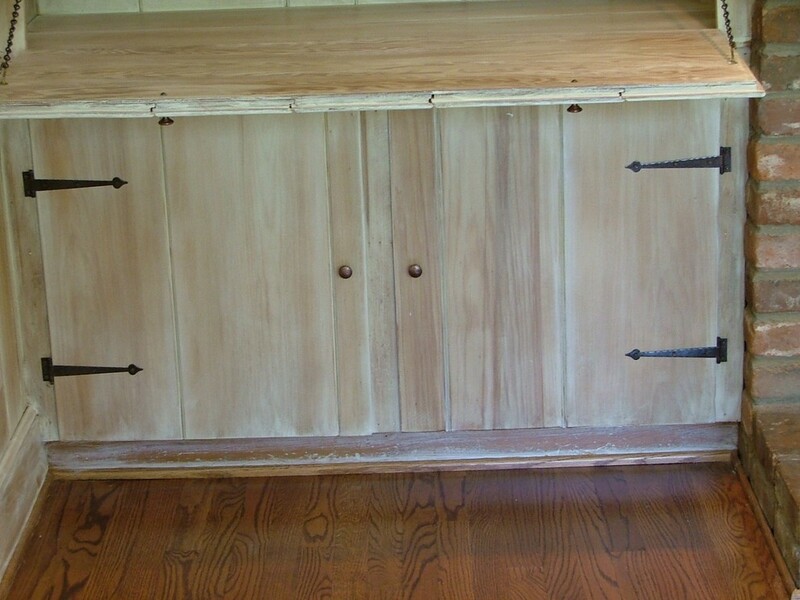 We had to blend all the old odd pieces of wood together. 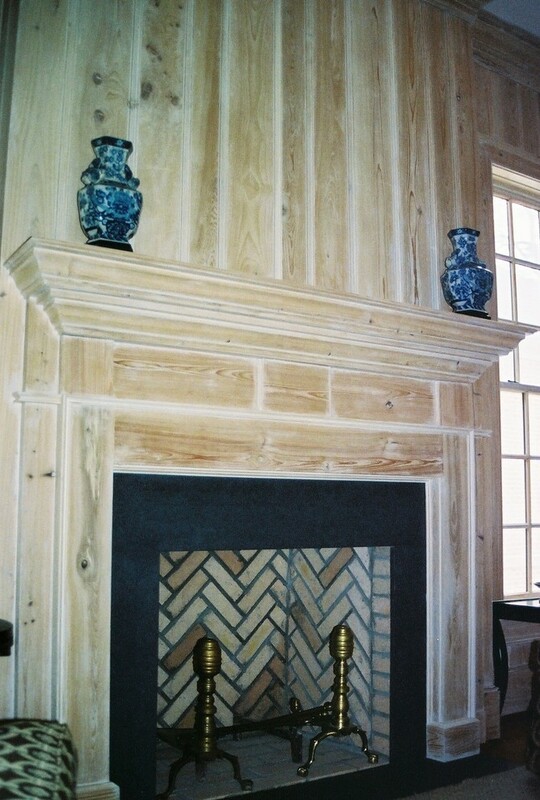 This A French Decape that was finished with european lime paint. The natural beauty of blending two natural products is every thing you would expect. 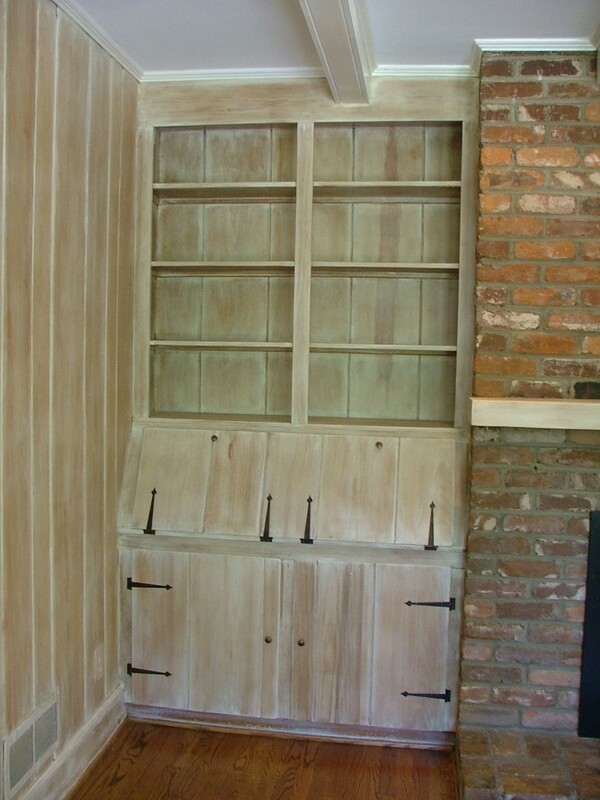 We have figured out a way to seal the lime finishes without destroying their natural appearance. 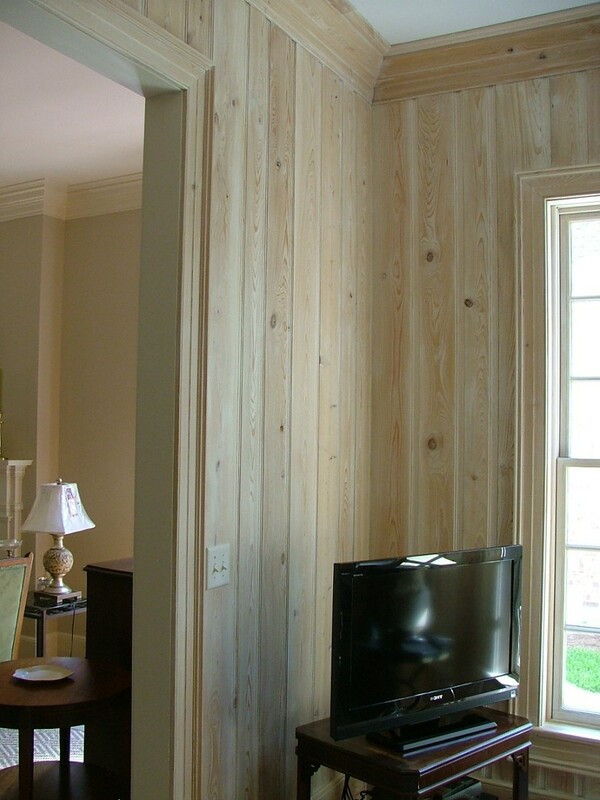 The limed wood creates a very coft and cozy feel in this room. This is a close up of French Decape. 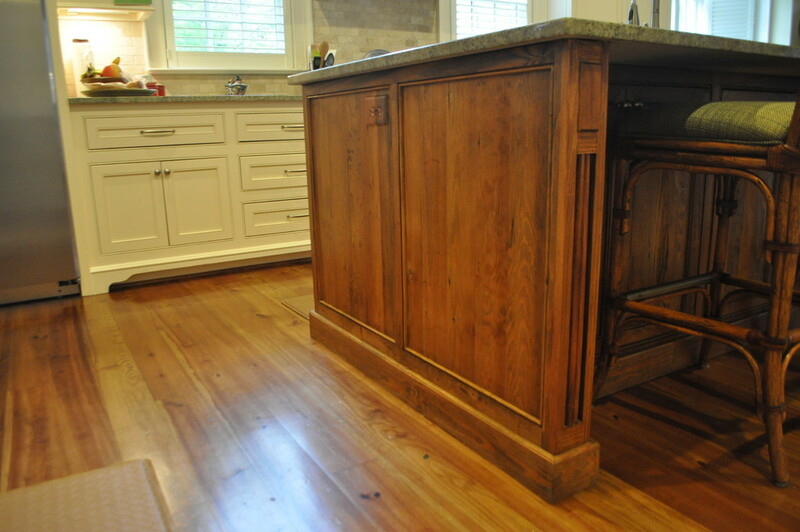 The lime accents the grain in the wood.